DWP Providers say: “Sign here or face Benefit Sanctions” True or False? 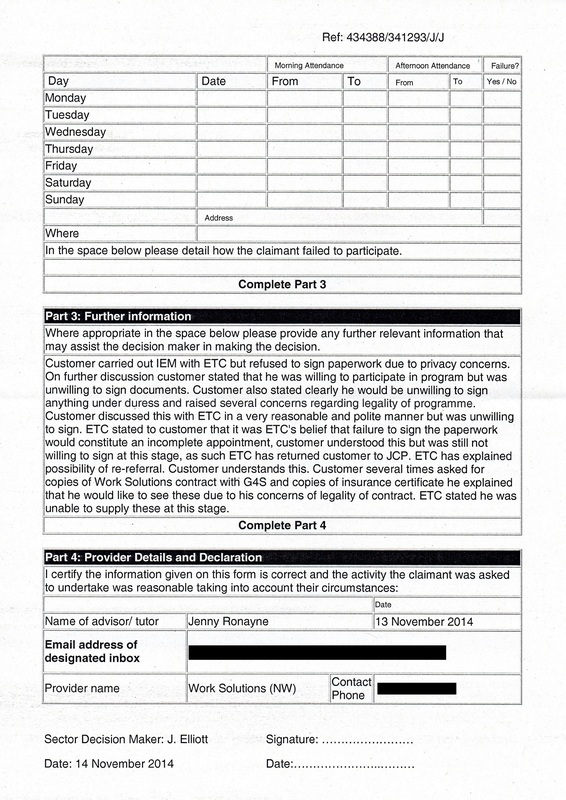 Despite DWP providers, of mandatory Jobcentre schemes, often demanding participants sign documents like Action Plans, Consent and Personal Data sharing forms or face Benefit Sanctions, this is not likely to have any legal basis when a scheme participant is willing to undertake suitably mandated activities, but simply declines to sign documents. 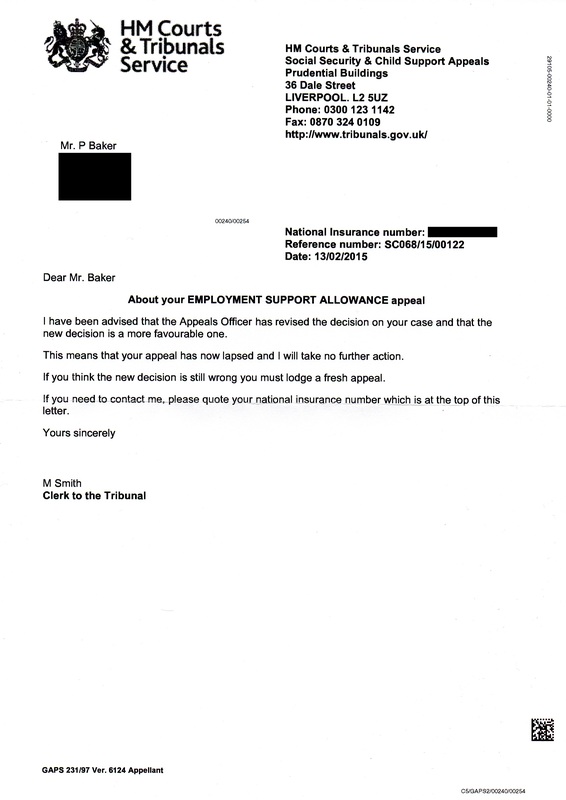 Despite this clear opinion from the DWP they recently sanctioned Peter Baker’s Jobseeker Aallowance, for declining to sign Community Work Placement documentation [Action Plan]. 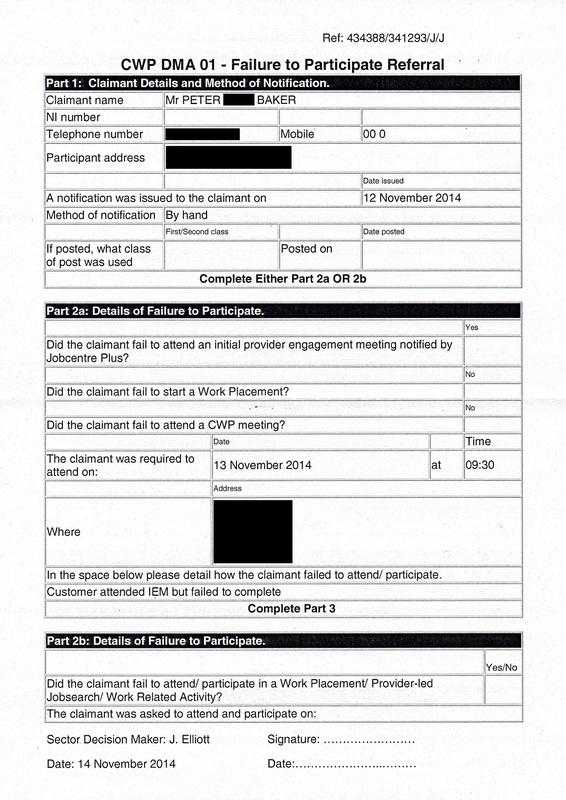 Peter challenged the original decision to sanction through the Jobcentre’s formal Mandatory Reconsideration (internal DWP appeal) process which he lost, he then lodged a formal appeal to an independent Tribunal. “Advice has been sought from DMA Leeds who have confirmed a person cannot be sanctioned simply for refusing to sign documentation drawn up by the Provider. 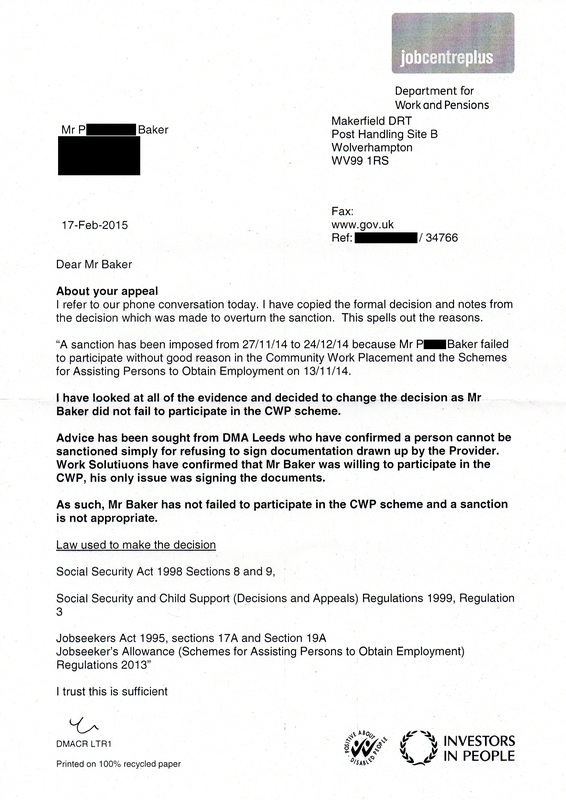 Work Solutions have confirmed that Mr Baker was willing to participate in the CWP scheme and a sanction is not appropriate. This entry was posted in #DoNotSign, Community Work Placements, Sanctions by www.refuted.org.uk. Bookmark the permalink.